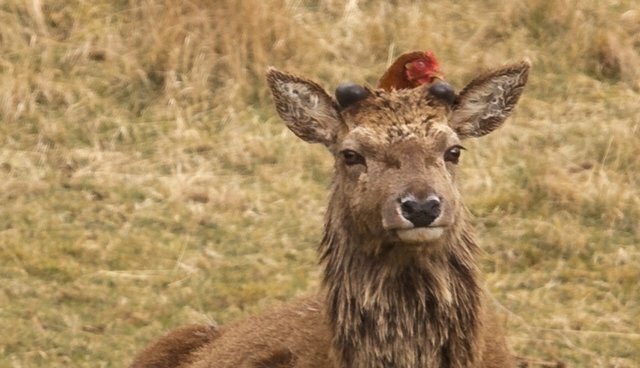 Domesticated chickens and wild deer might seem like the last two animals to ever strike up a rare interspecies relationship - but a flock of friendly hens in the Scottish Highlands aren't about to let a few petty differences stop them from forming a cozy friendship with some of the region's wildlife. 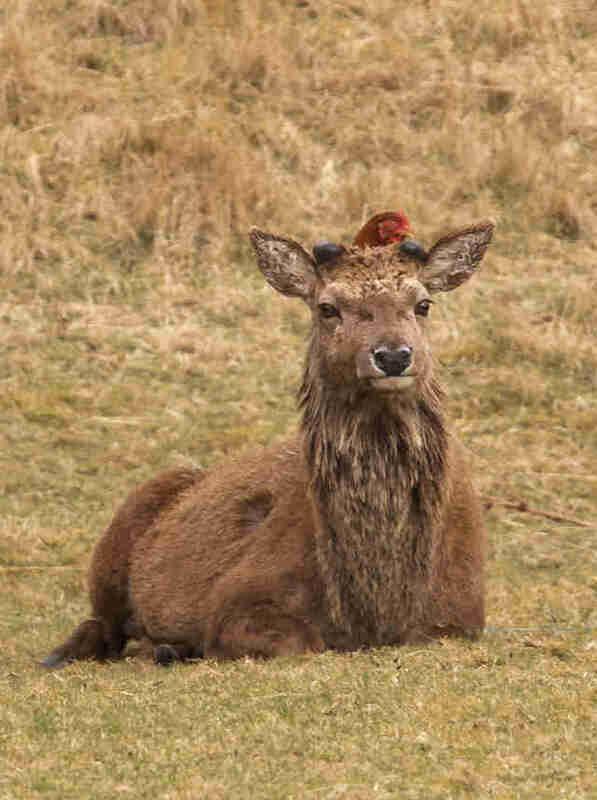 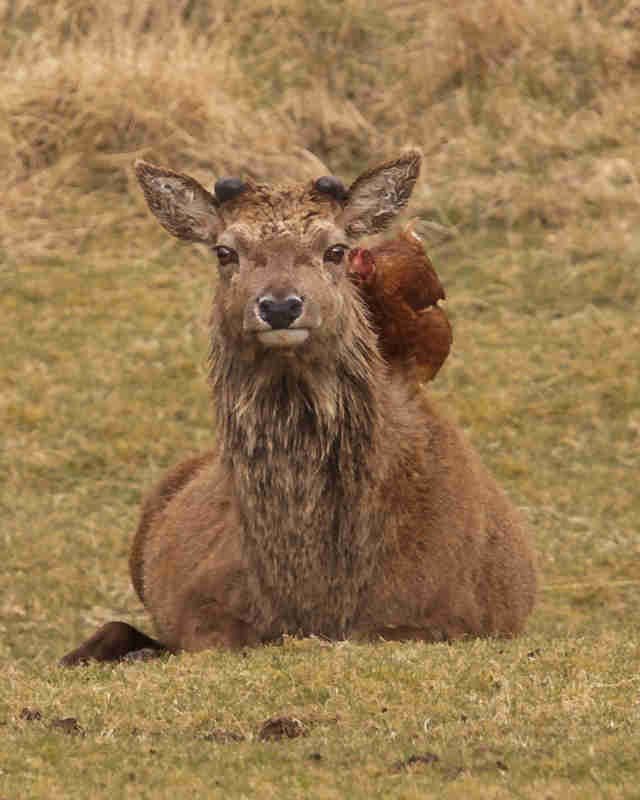 Martin Davies, who runs a small hotel in the remote settlement of Doune Knoydart where he keeps a few dozen chickens, tells The Dodo that earlier this year he noticed that his birds had begun cavorting around with a group of red deer. 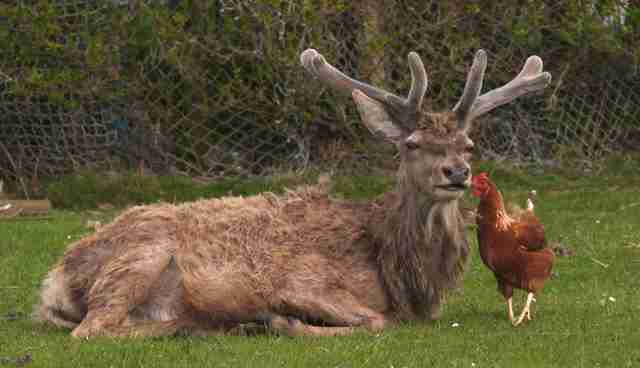 "There's a fairly large area of ground where they can come to graze, and the deer quite like it. 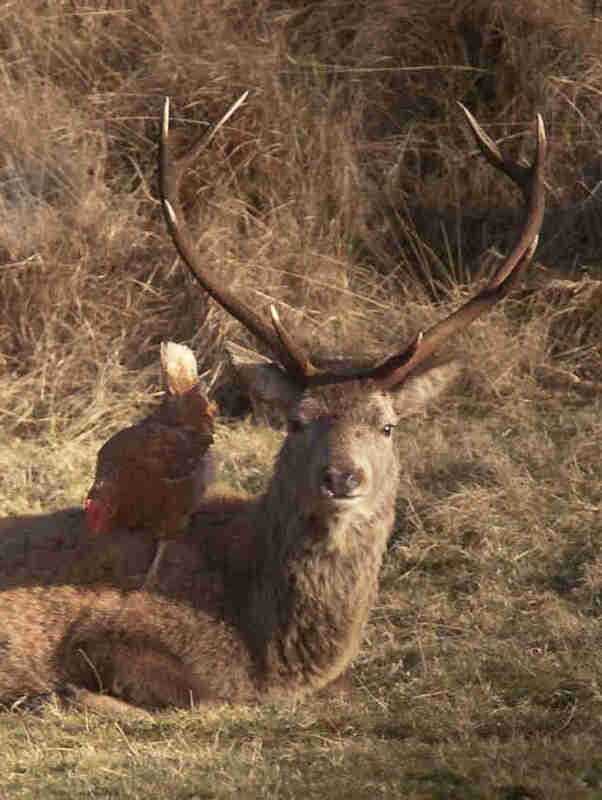 It's the same area the hens are in when they're out of their run. 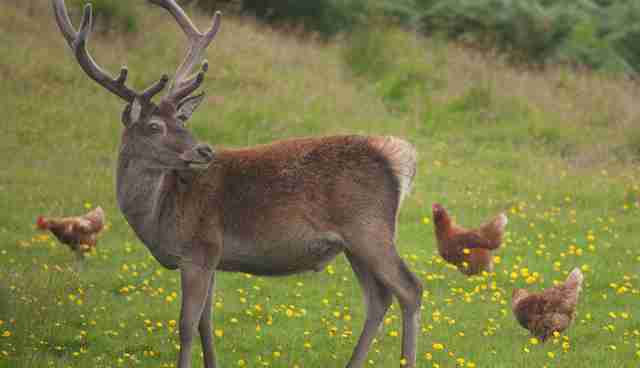 We justed started seeing the two together at various times," Davies says.